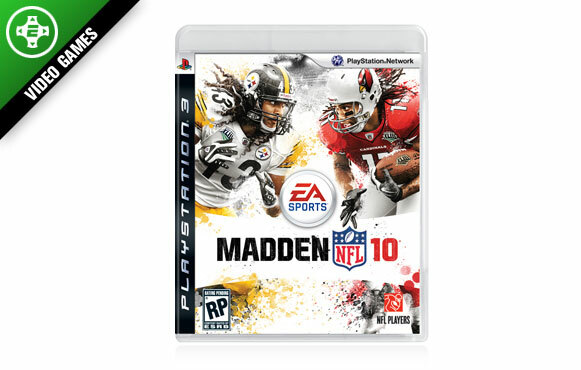 "Madden NFL 10" isn't just an upgrade over the "09" product, it's a game many consider to be the best in series history. If that isn't enough to persuade you to buy it right now, how about the free new mode that will become available in January to download exclusively for the PS3 and 360 called Madden Ultimate Team. Here, gamers collect virtual trading cards to build the best team possible. Cards even include "legends" such as Terrell Owens when he was on the 49ers and Randy Moss from his days with the Vikings. Talk about offensive firepower. Gamers then bring these new teams online to see who built the "Ultimate Team." Our recommendation: Buy the game and play through the old modes now, then check out Ultimate Team in January.